Slipped discreetly into the lineup, showcasing Look No. 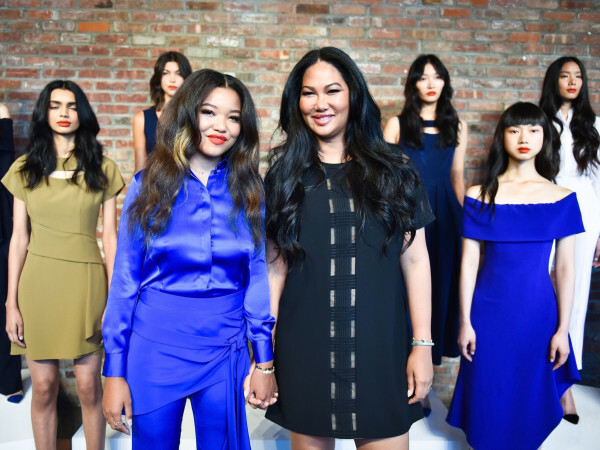 20 out of 65 styles that make up Jacobs' fall collection unveiled at the Park Avenue Armory, the petite singer, who at 5-feet, 1-inch, is shorter than most models, wore an oversized dark blue coat with fur on the sleeves, a pale green silk bow blouse and towering silver wedge boots. Like the other models in the show, her platinum hair was crimped flapper-style in finger waves and she wore heavy Goth-like eyeliner and dark lipstick. Gaga, labeled in the Marc Jacobs lookbook merely as "Stefani" (her real name is Stefani Joanne Angelina Germanotta), received no applause or outsized recognition from the audience as she walked the circular runway route directly behind Kendall Jenner as bells chimed at varying decibels. 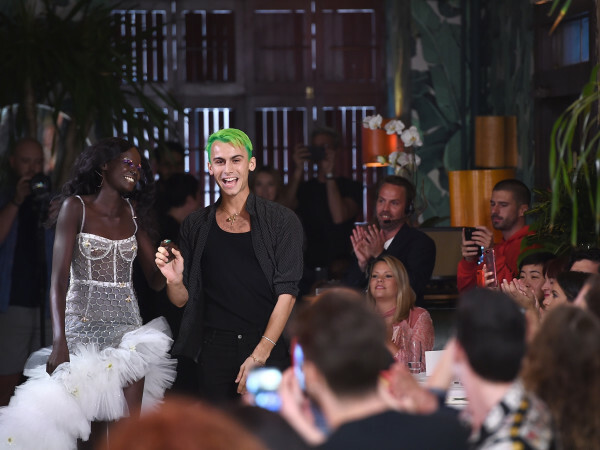 "We thought we would make each girl a show unto herself," Jacobs said. At the end of the show, Jacobs took a runway bow in a black T-shirt emblazoned with the face of Hillary Clinton. On the front row, Vogue editor Anna Wintour wore a similar T-shirt only in white with Clinton's face in red, white and blue sparkles, which Jacobs had designed.